documents reveal troubling questions about the photo and the circumstances surrounding it. hear Sandra Mansi recount the tale of what she reported seeing that day. neck “was very much the same in both animals,” (Bartholomew 1981) and naturalist Charles Johnson concurred (Johnson 1980, 1). the rest of his life in obscurity (Tullis 2005). that was founded in 1975 by Belgian zoologist Bernard Heuvelmans. photo be returned, which he reluctantly did. experience had been somewhat fearful” (Johnson 1980, 1). there for years” (Lenger 1992). In 2003, she told Ben Radford a similar story: That the photo had been hidden in an album (Radford and Nickell, 2006, 45). certainly not consistent over time. has stepped forward to say they could recognize the stretch of shoreline where the picture was supposedly snapped. they do to realities, and that in many cases they help to create the very fictions to which they respond” (Lippmann  2007, 19). appears to let slip that she knows the location of the sighting but does not want it revealed. Sandra Mansi: “I know it’s up . . . [pause] Well, I don’t want it—I don’t want it to get out where it was . . . because of the idiots, you know? . . .
was obsessed with profiting from the photo, noting: “She would come to work and say things like, ‘Are you ready to get rich kid?’” (Koepper, 1981, 1). or tree stump a likely candidate. Here is an opportunity to assess these estimates. new species in the lake. Binns, Ronald. 1984. The Loch Ness Mystery Solved. Buffalo, New York: Prometheus Books. Citro, Joseph A., and Bonnie Christensen. 1994. Green Mountain Ghosts, Ghouls & Unsolved Mysteries. New York: Houghton Mifflin Company. Johnson, Charles W. 1980. Letter to Joe Zarzynski dated August 22. Kermani, Ronald. 1981. In search of Champ. Times-Union (Albany, NY), July 5, 1, A8. Koepper, Ken. 1981. Champ: About the money and a monster. The Day (New London, Con­necticut), October 18, 1, 14. Lippmann, Walter. (1922) 2007. Public Opinion. Minneapolis, MN: Filiquarian. Radford, Benjamin, and Joe Nickell. 2006. Lake Monster Mysteries. Lexington: The University Press of Kentucky. Smith, Hal. 1981. Myth or monster? Adirondack Life (November–December), 22–26, 44–45, 47. Tullis, Andrew. 2005. 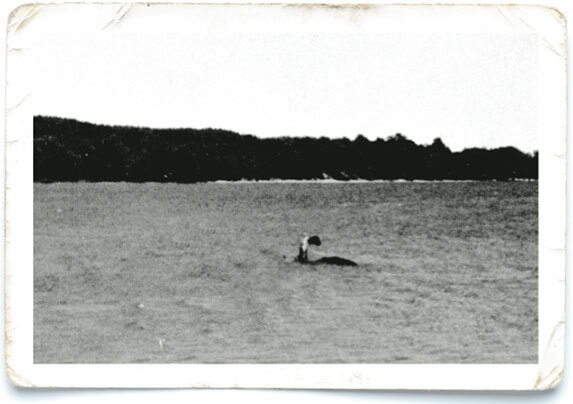 Obituaries: Frank Searle, Loch Ness Monster hoaxer. The Independent (London), May 24. Wilford, John Noble. 1981. Is it Lake Cham­plain’s monster? The New York Times, June 30. Wright, Jeff. 1981. Photo of ‘creature’ means headaches for Mansi. Plattsburgh Press-Republican, September 2, p. 5. Robert Bartholomew teaches history at Botany Down Secondary College in Auckland, New Zealand. He is the author of The Untold History of Champ: A Social History of America’s Loch Ness Monster (December 2012) by SUNY Press. Email: rbartholomew@yahoo.com. Obesity: What Does the Science Really Say?